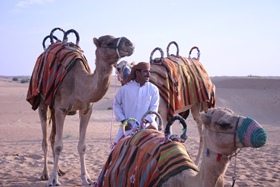 I was recently part of a Society of American Travel Writers, Canadian Chapter outing to Jordan, Ont. It was fantastic! 28 wineries, gorgeous peaches and tender fruit, lovely restaurants with home-grown produce and very friendly, welcoming residents. I highly recommend it as a backyard road trip for anyone living in Southern Ontario. A colleague, photographer Gary Cralle was part of the trip and recently wrote it up and shared it online. Check it out! Thanks Gary! Dorothy, We ARE in Kansas! Posted on July 22, 2015 | Comments Off on Dorothy, We ARE in Kansas! Kansas is known as the “fly over state.” Nothing much there, right? Wrong. After a recent trip I’d call it the “drive through slowly state.” Lots to stop and look at. Lots to reflect upon. 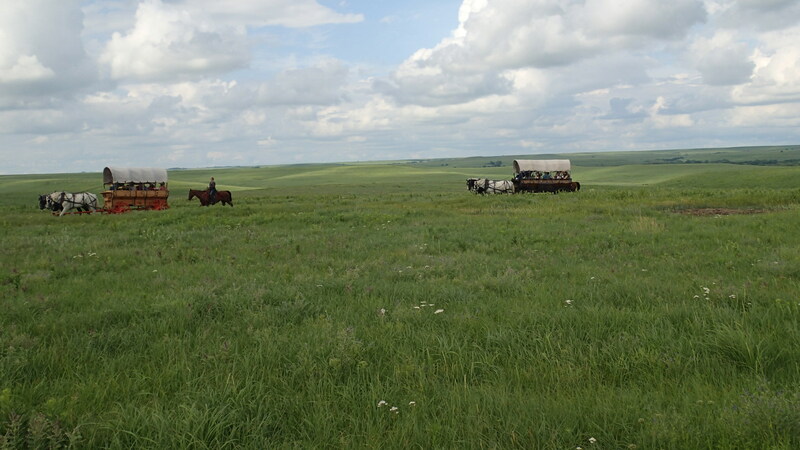 The highlight of my visit was the Symphony in the Flint Hills. Kansas City Symphony playing under a huge blue sky, surrounded by a rolling sea of tall prairie grass. Did I mention Lyle Lovett performed as well? What a pleasure to hear his smart, quirky songs backed by these versatile KCS musicians. Anybody who plays a stringed instrument in Kansas has likely learned their chops on a violin, cello, viola or bass produced by K.C. Strings in Merriam, KS. 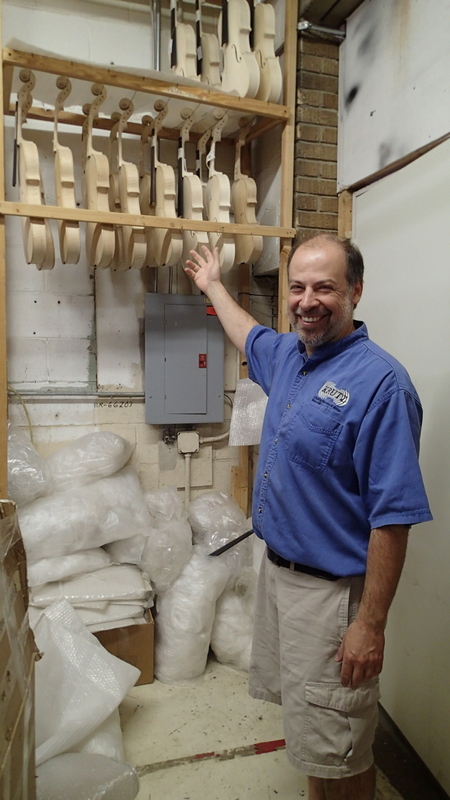 Owner and master luthier Anton Krutz was born in Leningrad and came to the United States in 1976. His dad was in the Kansas City Symphony and his mom taught music. For the past 22 years Anton has supplied students and professional players alike with his carefully handcrafted instruments. I took a peek in the ‘wood room’ in the shop behind the store. Anton orders five tons from Canada and Europe at a time, and then dries it for 10 years. Instruments are all about the wood he said. “No piece is identical. You don’t know how it will play until it is complete,” he told me. KC once had a thriving Croatian community whose members were drawn there to work in the meat packing industry. That’s all gone now, but what remains is the Strawberry Hill Museum. 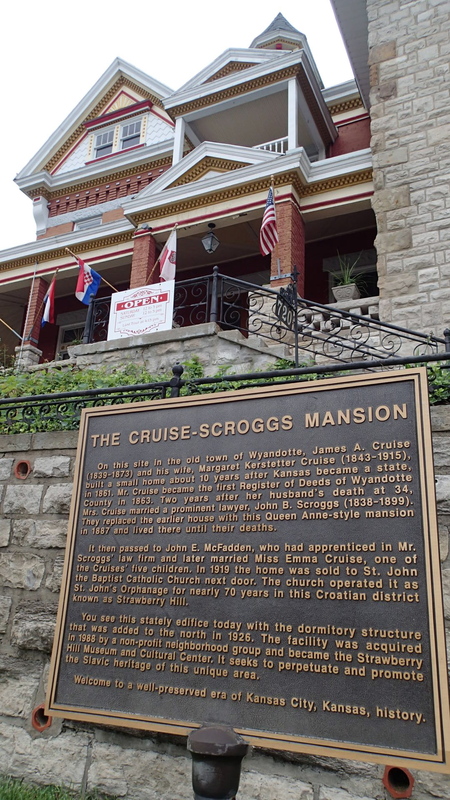 The former stately mansion built by a prominent lawyer in the 1800s, was converted to an orphanage run by nuns to house children whose parents had died in the flu epidemic of 1918. 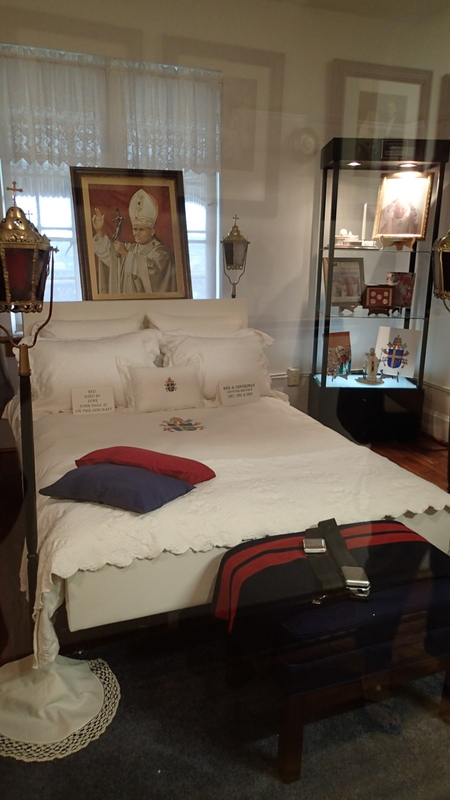 The chapel is still in use and upstairs visitors can peruse an immigrant photo gallery, displays of Eastern European ethnic garb, and a room containing and bed and other items used by Pope John Paul when he visited the United States in 1988. “I have the privilege of cleaning the room,” confided David Hartman, the museum’s executive director. The passion and dedication of Kansas’s people stands out no matter what they are doing. 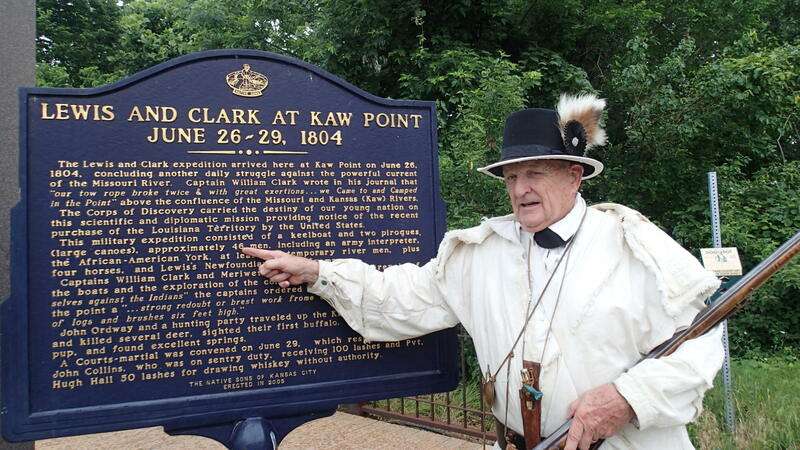 Mike Calwell spearheaded the conversion of a trashed out portion of Kaw River shoreline into a lovely park honouring Lewis & Clark’s stop there. Calwell, a retired schoolteacher, is an avid environmentalist and history buff that started cleaning up the park in 2003 with an army of local volunteers. Calwell remembers Bobby Kennedy and the Riverkeepers also showed up that year. “He told the crowd, ‘Look around you and what do you see? A squandered resource.’ That got the governor’s attention and the project took off.” In 2012 it was made a National Historic Site. “I love this river,” says Calwell. “It is 173 miles long and ideal for canoeing. I used to teach environmental science and it does my heart good to see the changes,” he told me. Who knew wine was made in Kansas? Not me. There are 30 wineries in the northeast of the state and I was able to visit a couple. 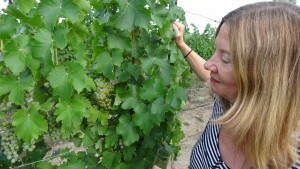 At the Wine Barn Winery & Vineyard Celeste Mikijanis and her husband grow 11 varietals on six acres of vineyards. Throw in the live music on weekends and you can have a delightful little time sipping and tapping your toes. 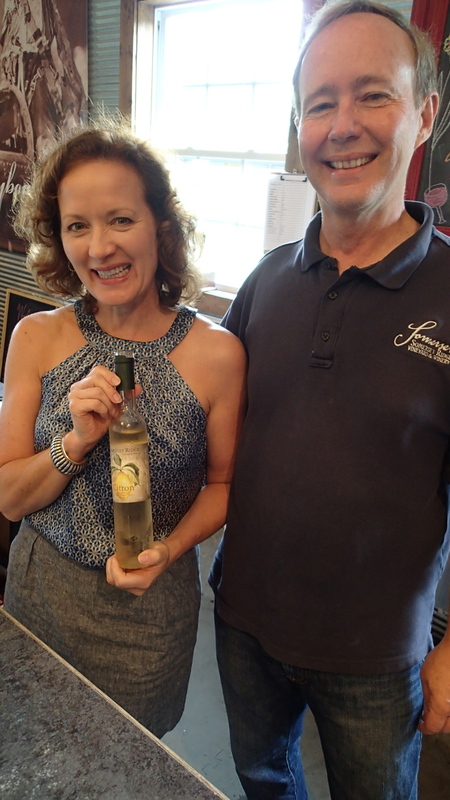 Somerset Ridge Vineyard & Winery is Cindy and Dennis Reynolds’ labour of love. They have 20 acres of wine grapes and make 20 different wines. I liked their Chardonel, crisp and dry and finished in stainless steel. Their Citron was another one of my favourites. A blend of white wine, brandy and organic lemon it was similar to Limoncello – perfect for lemondrop martinis or adult lemonade. At the Agricultural Center and Hall of Fame the Linemen’s Rodeo draws 11,000 people annually to watch contestants speed climb electric poles. Wonder if “The Wichita Lineman” is blasting in the background? Who expected world-class art in a community college? The Nerman Museum of Contemporary Art at Johnson County Community College blew me away. 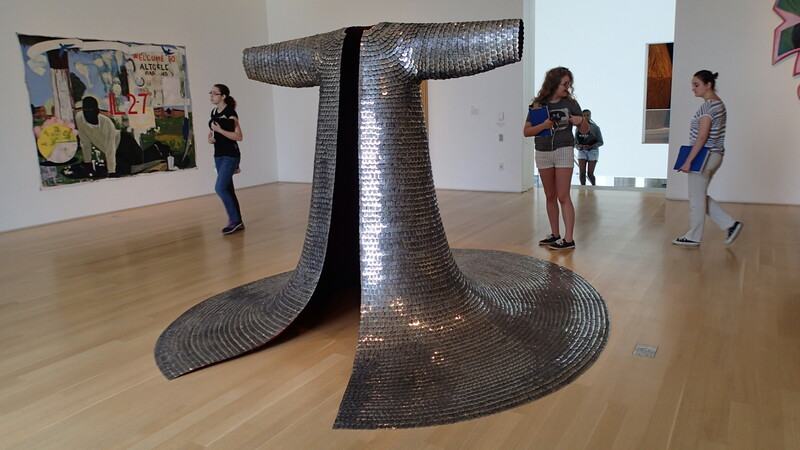 Do-Ho Suh’s “Some/One” Korean coat made of dog tags was amazing. 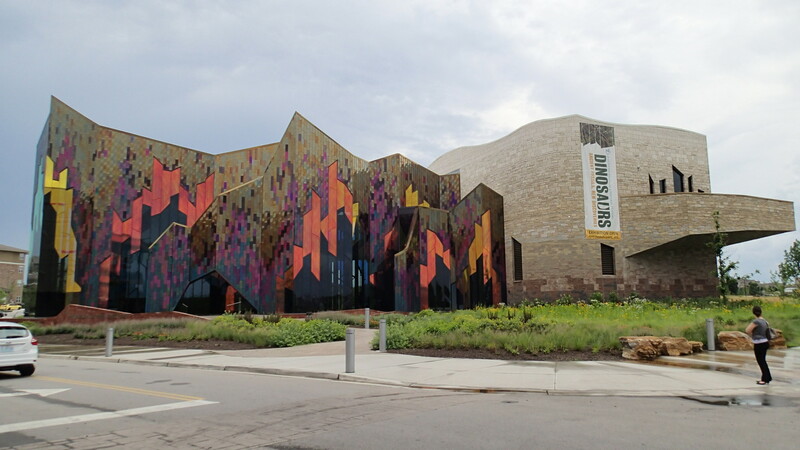 The Museum at Prairiefire in Overland Park is a spectacular collaboration with New York City’s American Museum of Natural History. Dinosaurs, horses, frogs and Madagascar hissing cockroaches are just a few of the creatures you learn about in this airy interactive environment. The most amazing aspect of the museum is the dichroic glass and steel panel on the exterior that change appearance depending on the time of day and weather. Stunning. Strawberry Hill Bakery if famous for Povitica (pronounced po-va-teet-za), a Croatian dessert bread that they ship all over the country. The 2.5 lb loaves come in all sorts of flavours including poppyseed, cream cheese and blueberry. 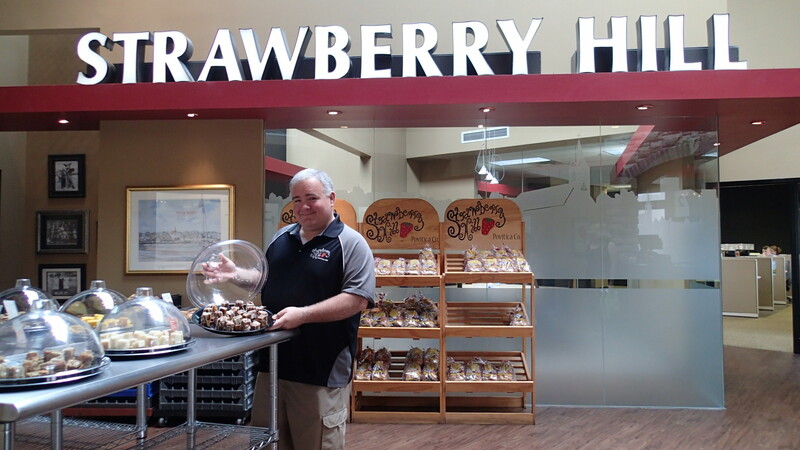 The bakery outlet in Merriam is a fantastic place to drop in and sample which one you like best before plunking down $20 for the heavy-duty gluten treat. “The secret is we put the dough in the fridge. That keeps the bread lines thinner and filling gooey,” owner Marc O’Leary tells me. Don’t let his last name fool you, Marc’s Croatian on his mother’s side. In fact, his mom used to be known as the Povitica Princess and the bakery has been in the family for 30 years. Popular at Christmas and Thanksgiving, the bakery makes 7,000 loaves a day in peak season. Costco is one of their clients. 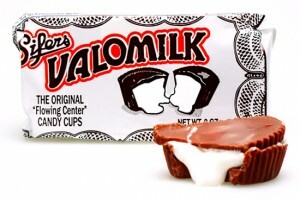 While in Merriam, I was introduced to Valomilk. Chocolate on the outside, creamy marshmallow in the centre. Do not let this candy get overheated. I put mine in the cooler in the car and the centre stayed creamy, while the outside kept its firmness. I am not a fan of marshmallows, especially the spongy ones, but this was amazing. I’m hooked. Still thinking of Kansas. Time to click those ruby red slippers. Comments Off on Dorothy, We ARE in Kansas! The Barley Room at Waring House has a warm atmosphere, great beer and pub grub. Perfect for a chilly winter outing! It’s been more than 20 years since I visited Prince Edward County (PEC), and it has changed immensely. On a recent trip I visited vineyards and sampled superb pinot noirs, effervescent sparkling wines, and some luscious cabernet francs. Who knew the limestone-rich terroir of the region is almost identical to that of Burgundy? 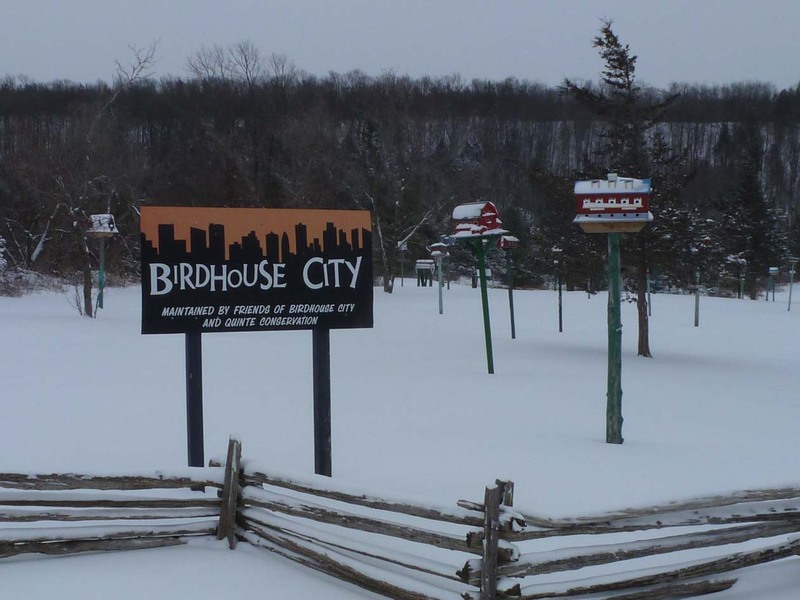 We arrived the weekend before Christmas and it was very quiet, due to the stupendous snowstorm the night before. Our little Corolla did yeoman service and got us to the lovely Waring House restaurant and inn from Toronto in just under two-and-a-half hours. 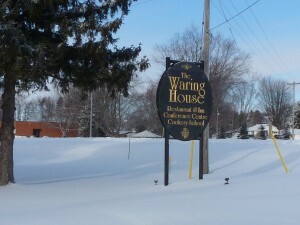 Waring House had a top-notch restaurant with lots of locally produced wines and cheeses. Comprising a 1820s stone farmhouse and two modern lodges, Waring House offers 49 rooms and suites that are quite green with geo-thermal heating and low-flush toilets. Our suite was fit for a princess—huge, with gas fireplace, French doors, king bed, mini fridge and dark wood furniture. Dinner, in Amelia’s Garden Restaurant in the farmhouse, was top-notch. I had Arctic Char that melted in my mouth, and a slice of velvety pumpkin ginger cheesecake for dessert. My partner had venison that was bursting with flavour, paired perfectly with a local merlot. Next day, we hit the wine trail. 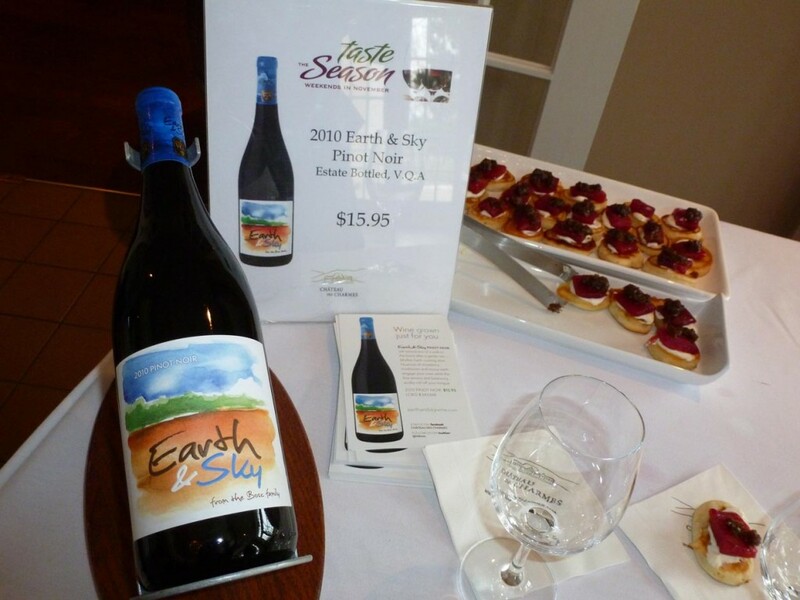 Prince Edward County has been producing award-winning wine for around 12 years. There are at least 40 wineries in three distinct areas, The West, The East & South and The Northeast. 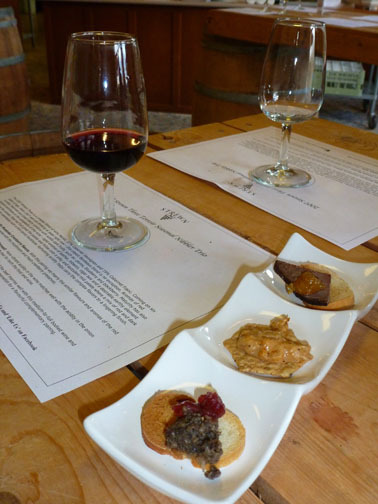 We went West and explored the tasting rooms of seven wineries. Unlike the Niagara region, PEC’s wineries tend to be small and rustic. The winemaker might also be the fellow fixing the outdoor heater. Discussing pinot noirs with a winemaker at Norman Hardie Winery. 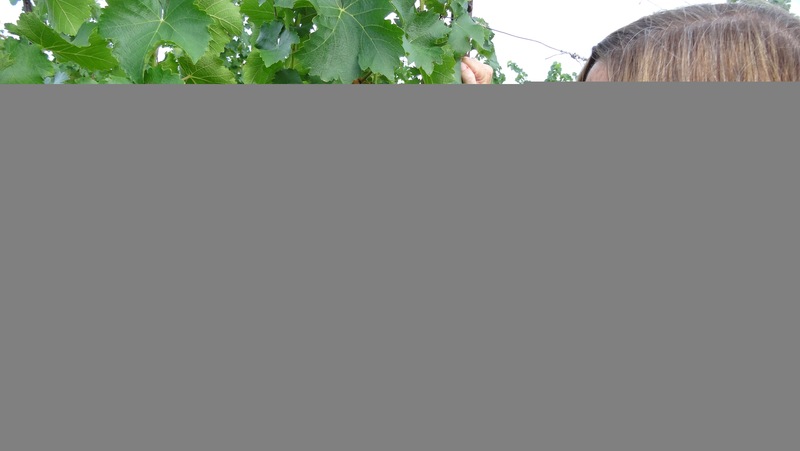 Some wineries grow their own grapes, other buy from local farmers and some mix in Niagara grapes. While sampling, it’s always good to discuss a wine’s provenance. 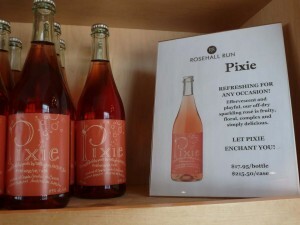 My favorites were the Sandbanks Estate cabernet franc (Queen Elizabeth was served Sandbanks wine on her last trip to Canada), Norman Hardie pinot noir, Karlo Estates merlot, Hinterland’s champagne-style bubbly and Rosehall Run’s sparkling rose-–the lovely, pink Pixie took main stage on our Christmas morning breakfast table. 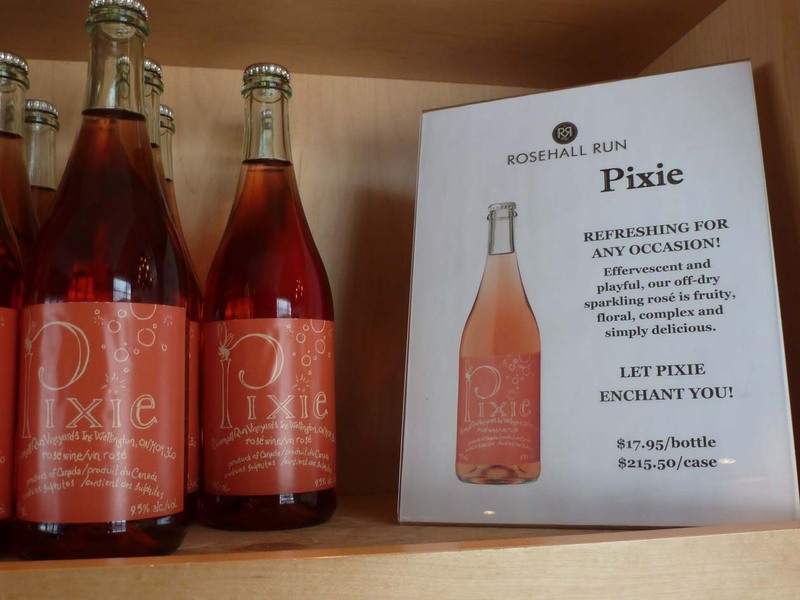 Pixie sparkling rose, a perfect match with Christmas morning eggs. Halfway through our wine circuit, we stopped in at Tall Poppy café for amazing grilled cheese sandwiches and salad (thick slabs of bakery-fresh multi-grain bread oozing with artisanal cheese – I was full for hours). An old storefront with tin ceiling and ever changing blackboard menu, this is also a great place for a coffee break with lots of yummy-looking baked goods. 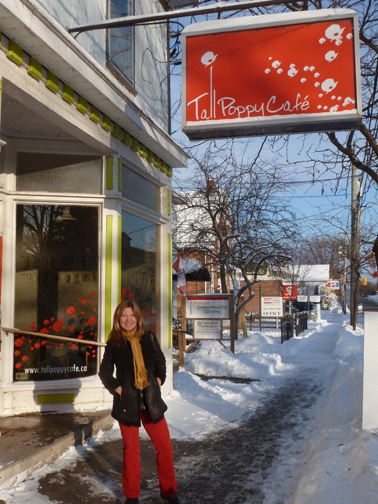 Tall Poppy Cafe, great for a breather between wine tastings. Due to the heavy grilled cheese, we decide to have a light dinner at Waring House’s Barley Room Pub that night. Also in the farmhouse, the pub was cozy, offered many local beers and wines and had great live entertainment. A popular spot with locals, it was jammed. After quaffing a few brews and downing a plate of delicious chicken wings, it was a relief not to have to get back in the car since we just had to walk across the parking lot to our suite. 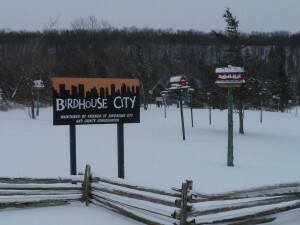 Loved these birdhouses in Picton. As for other stuff to do, the area is dotted with interesting food producers and antique shops. 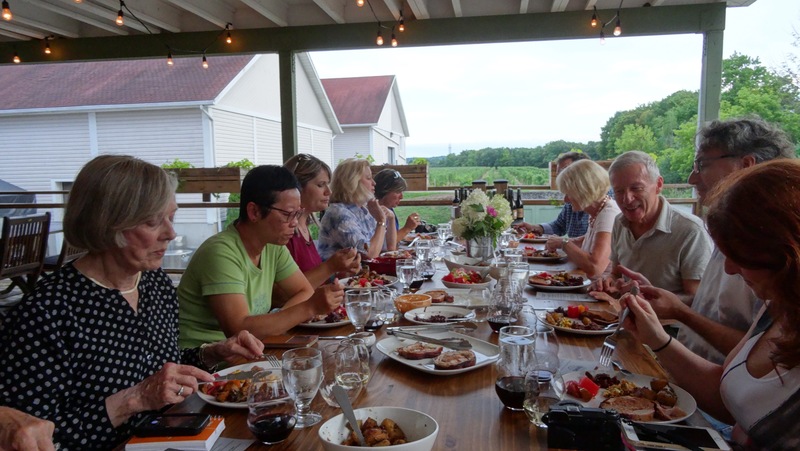 We just missed the Terroir & Wassail festival, but learned that there are special promotions throughout the year along the “Taste Trail” where you can stop into restaurants, wineries, breweries and artisanal food producers. From my original visit 20 years ago, I recalled the beauty of Sandbanks Provincial Park…but I’ll have to wait for summer for a chance to loll on those gorgeous, freshwater dunes. Yes, I’m already planning a summer return. 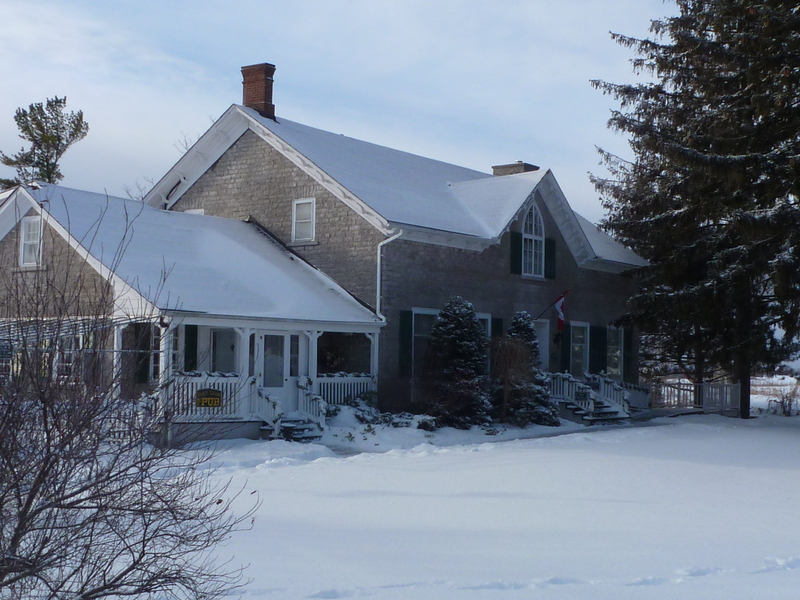 A gorgeous, crisp winter’s eve at Waring House. Our first stop, Chateau des Charmes. In November, with winter in the air, my husband Steve and I ventured to Niagara-on-the-Lake for a little wine and food pairing. 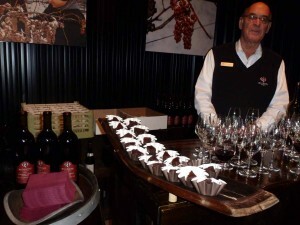 We had bought the Taste the Season touring pass for around $45 and were determined to visit as many wineries as possible. The pass was good for weekends throughout the month and this was the last weekend. It was like a circuit cocktail party. Steve kept his wine tasting to a minimum, since he was driving, and I did a little more imbibing so I’d know which bottles to buy. Suffice to say we came home well stocked! 1)	Chateau des Charmes: The Earth & Sky Pinot Noir was matched with beet cured rainbow trout served with three onion crème fraiche. Delicious! The wine was light and a great enhancement for the amazing ruby-coloured trout. 2)	Colaneri: The winery exterior had a Napa-meets-Disney feel about it, sort of aged but newly built. The wine was an easy-going 2011 Isieme Red Blend but the pairing was exquisite – a braciole, or strip of flank steak topped with prosciuitto, covered in tomato sauce and rolled into a pinwheel. Very authentic. 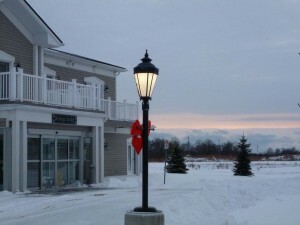 3)	Cattail Creek Estate Winery: 2009 Estate Merlot was paired with a sirloin chili. Very stick- to-the-ribs. Perfect after skiing. 4)	Konzelman Estate Winery: One of my favourites! A 2012 Cabernet Sauvignon served with a pulled beef and Quebec Brie slider. Rich and luscious and perfect for the chilly weather. 5)	Marynissen Estates: A 2011 Primary red matched with a shaved beef slider with horseradish aioli and baby arugula. Not my favorite. Slider was light on the meat and Marynissen makes much finer reds. Strewn also has an excellent restaurant and cooking school. 6)	Strewn Winery: Love this place, in an old jam plant. We sipped 2007 Strewn Three, a white blend, and munched three appetizers – mushroom with Muskoka cranberry sauce, creamy French onion and goat cheese spread on a cracker, and house spiced beef with Horseradish jelly. Yum! 7)	Riverview Cellars Estate Winery: A fragrant 2012 Gewurztraminer matched with an herbed goat cheese and roasted vegetable tart. I would have preferred it if the tart had been warmed, but otherwise very tasty. At Reif, the chocolate brownies were to die for! 8)	Reif Estate Winery: My favorite of all! We had the 2012 Cabernet Franc with a dark chocolate brownie infused with blackberries and covered in cassis ganache. A sweet way to end our tour! I plan to go again next year, and hopefully get in two weekends instead of one. In the meantime, there’s the Icewine Festival, January 1-31, 2014 and the Days of Wine and Chocolate, on weekends in February 2014. A nice way to keep warm in winter! "Surprise surprise. It's a huge family. #Swaziland's King Appoints 28 Members of His Family to Kingdom's Committees… https://t.co/WpRyIGap7H"
"It goes on. Brother of #Vietnam's richest man arrested for bribery - https://t.co/Y7q0svwvXB #GoogleAlerts"
"@prnsdi1 Only if he doesn’t scrub mine!" "If you are in @VisitBrussel go to #Henri for an exquisite, yet casual meal in the city Centre. Ask for a table near… https://t.co/2uZtbIbnmY"